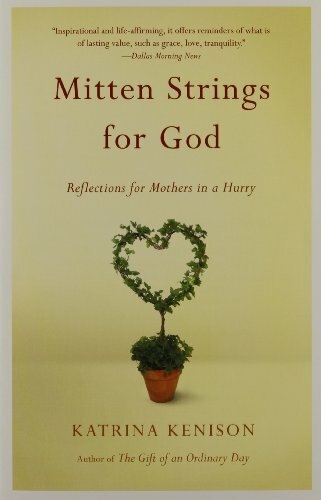 One of the most influential books in all my parenting life has been “Mitten Strings for God” by Katrina Kenison. The tagline is “Reflections for Mothers in a Hurry” and those bits of wisdom, shared so beautifully, were exactly what I needed as a young mother of 5 when I first read it years ago. With chapter titles like, “Peace”, “Dailiness” and “Simplicity”, Katrina’s experience spoke straight to my heart with understanding about what I faced but also encouragement to be more mindful about my choices as a parent. I’m forever grateful for that guidance from a mom who had gone before me. And so, as I seek to connect with and encourage young moms, I must share this book. At the time of this post, we are entering the holiday season. I can’t imagine a better time to lock arms as mothers and think about the choices we are making for our children. How we are spending our time and our money? What really is most important? How can we enjoy these years and find true JOY in them? 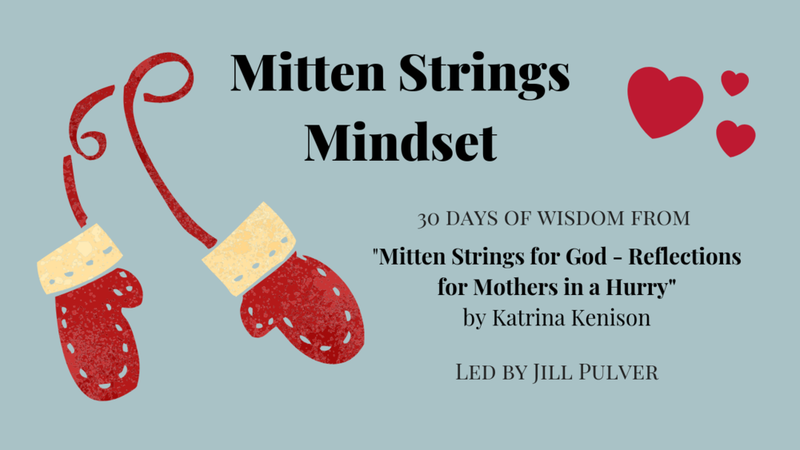 I would LOVE for you to JOIN ME for the next 30 days and, whether you just listen in or jump into the conversation, I hope that Katrina’s words and my interpretation of them speaks to your heart and encourages you! Watch the brief welcome video below and consider following along. It’s so simple to participate in my book study - Just sign up HERE and you’ll get a daily email with the video of the day - a short 5-7 minutes of me sharing my favorite tidbits from the book, chapter by chapter. You will have access to all the videos as long as the course is on my site along with a place to comment, connect, ask questions and gain encouragement. It’s completely FREE. I wish for you much JOY as you love and connect with the children in your life.